Even though you haven’t heard much about it in recent months, America’s national debt continues to climb. It currently surpasses $19.8 trillion—compared to just under $5 trillion in the late 1980s. But what does “national debt” actually mean? 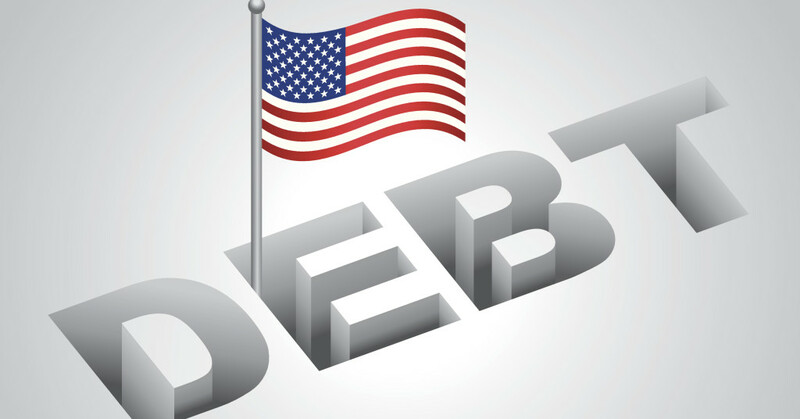 The term refers to gross national debt, which includes intragovernmental debt—the amount that the federal government owes itself—and debt held by the public. The latter comes out to more than $165,000 per taxpayer. Meanwhile, U.S. gross domestic product (GDP)—the total value of American goods and services in a given year—hovers around $18.6 trillion, registering America’s debt-to-GDP ratio at 106 percent. This means that the national debt is growing at a more rapid rate than the U.S. economy, which has averaged less than three percent growth in recent years. The nonpartisan Congressional Budget Office projects a debt-to-GDP ratio of 141 percent within three decades. And how does it affect you? Despite government excess, budget shortfalls often lead to tax hikes instead of spending cuts. It means more money taken out of your paycheck in the form of income and payroll taxes while government bureaucrats spend it on one program after another. It can also mean that the government starts printing more money to pay off its creditors, which leads to inflation and higher interest rates on consumer loans like mortgages and car loans.